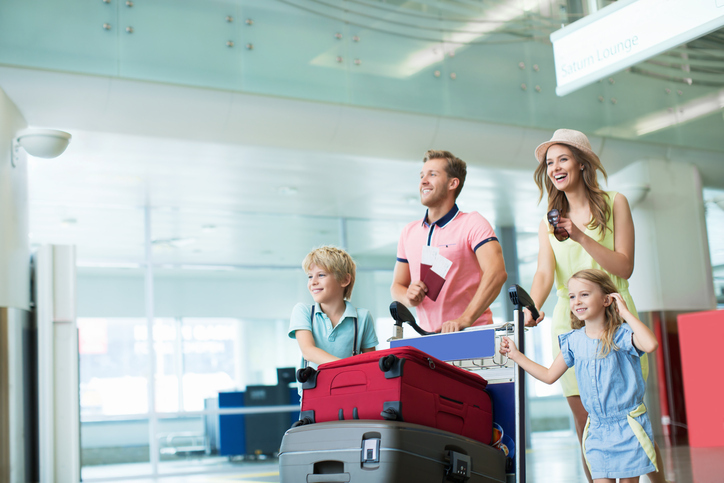 Traveling with kids can be intimidating, especially if you are passing through one of the busiest airports in the world. The good news is that airports have taken recent strides to make airports more parent friendly for those long waits. Here’s a list of hints and tips to get you through JFK with the kids in no time. JFK is notorious as a hub for business minded travelers. They are often moving quickly and carrying minimal luggage. You, on the other hand, may be strapped with car seats, strollers, diaper bags and more. Don’t worry about your fellow travelers, just look for the TSA’s handy family friendly lanes. They give you extra time to break down that stroller as it goes through security, and restack all of your luggage once you’re through. They also have wider lanes so you can fit the whole crew in without stretching out. Depending on who you’re flying with, some airlines have taken the initiative to create small toddler play areas inside of their terminals. The small open area should keep the kids occupied if you’re waiting on a layover or experiencing an unexpected delay. The JFK airport website has a full list of restaurants available pre- and post-security. If you go online ahead of time you can plan your meals accordingly. Sometimes even knowing where to find a snack in a pinch is enough to tide the kids over until boarding and keep the peace. What kid doesn’t enjoy flying around an airport at a quick clip on a light rail train? These trains are free if you’re moving between terminals so you can go visit other parts of the airport if you’ve got a long wait. Trying to get the whole family onto a crowded shuttle with car seats in tow can be a hassle. Likewise, taxi services are unpredictable and may not have enough space for your whole crew. Reserving a car and driver from a local car service is often the best way to get around because you can specify how many seats you need, how much cargo space you need, and your exact drop off or pick up times. No waiting around for the next shuttle to arrive, or walking a mile through the parking lot to find the correct pick up point. A driver will be able to pick you up directly outside of the terminal and take you to your destination. As with anything else, proper planning is the key to a successful trip through JFK. Try not to get flustered as you head into security and wait for your plane. Follow the family friendly lanes and take your time to make sure you have everything you need in order. Easily book with us online or get a quick quote on our website.